Running in Tucson, Arizona. 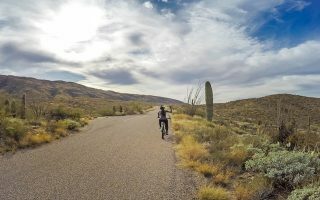 Best routes and places to run in Tucson. Tucson is the second largest city in Arizona and is about 120 miles south of Phoenix. 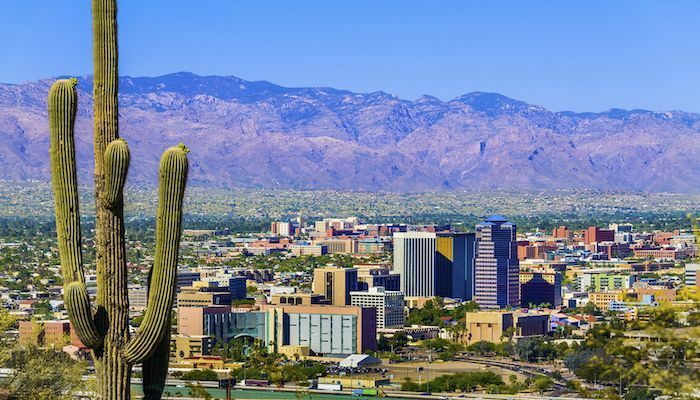 Located in Arizona’s Sonoran desert, Tucson is surrounded by multiple mountain ranges, including the Santa Catalina Mountains, Tortolita Mountains, Santa Rita Mountains, and Mount Lemmon. Among the tourist highlights of the area is Saugaro National Park, which is divided into eastern and western sections. This is our guide to running in Tucson, Arizona. Right downtown, there is some decent running around the large University of Arizona campus and downtown streets. 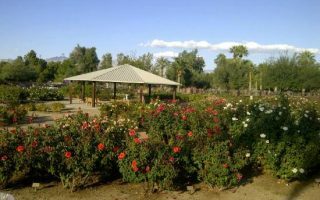 Just north of Tuscon, the Rillito River Park Path runs for 10 miles. The real highlights of the Tucson running scene, however, are in the mountains nearby. This area is trail running heaven. Saugaro National Park, which is divided into eastern and western sections, has some wonderful trail running, with terrain for all abilities. 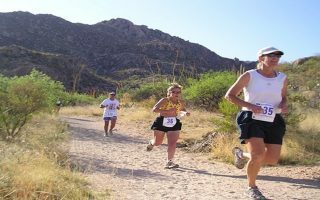 For more modest trail running and an opportunity to enjoy the area’s mountain views and desert scenery, we recommend Sabino Canyon and the trails in the Starr Pass area. Runners should be aware of the openness of the terrain and exposure to heat and sun. Plan and hydrate accordingly! 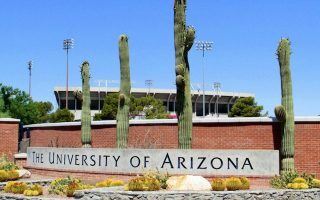 Famously known as home to the University of Arizona, Tucson offers several great restaurants, vintage shops, and nightclubs right around the campus area. The university campus, downtown, and the convention center are all within a two mile radius. Moreover, the restored mansions of El Presidio Historic District and the adobe row houses of Barrio Historico, reflect Tucson’s nineteenth-century beginnings. Major suburbs of Tucson include Oro Valley and Marana, which are located in the Northwestern part of the city. Major communities south of the city are Sahuarita and South Tucson. A 3.2 mile tour of the main University of Arizona campus. Some of the campus highlights and surrounding roads. Can be added with nearby downtown roads. Centrally located park downtown, with popular running loops on paved paths, an 800 meter dirt track, lit at night, and even a drop-in running group that's been around for 20 years. Park East offers scenic views, and a multitude of trails of various difficulty. 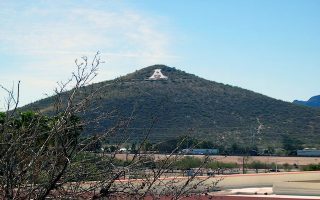 Awell-known route of 8.3 miles incorporates the Carillo, Three Tank, and Douglas Springs trails. Several steep hills, and one large 1.5 mile climb. Lots of options to branch off. 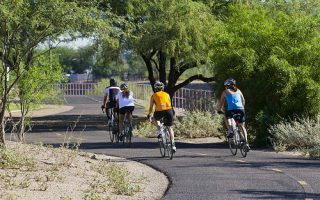 10 mile multi-use path that follows the banks of the Rillito River from I-10 to Craycroft Rd. The path on the north bank is paved and the south bank is not paved. Good mountain views, and desert vegetation. A section of the Coronado National Forest, features soaring mountains, deep canyons, and the unique plants and animals of the Sonoran Desert. One of the running highlights of Tuscon. There are paved park roads, and some great trail running. Another fantastic trail running opportunity about 10 miles northwest of downtown. Adjacent to Saguaro National Park’s Tucson Mountain District and Tucson Mountain Park. 700+ acres of trail running glory. 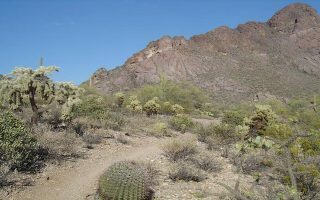 There are wonderful, open trails in Tucson Mountain Park, a ten minute drive east of Tucson. Numerous options here --many of them more modest for trail running, including the 4.7 mile Starr Pass Trail Loop. Great views, and especially lovely at sunrise & sunset. Wonderful state park 17 miles north of Tuscon with extensive trail system. Park road and inner trails offer some gentler running options. Also lots of opportunities for hilly and challenging trail running. 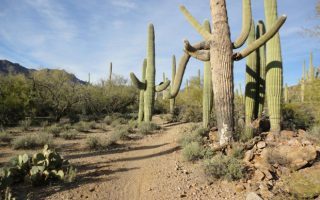 With hot summers and temperate winters, Tucson has a desert climate that’s great for running except in the hottest summer months. Daytime temperatures in the summer often exceed 100 degrees Fahrenheit. Overnight temperatures cool off, except for the height of summer. As expected, early summer naturally brings low humidity and clear skies, whereas mid and late summer typically bring higher humidity, cloudy skies, and rain. 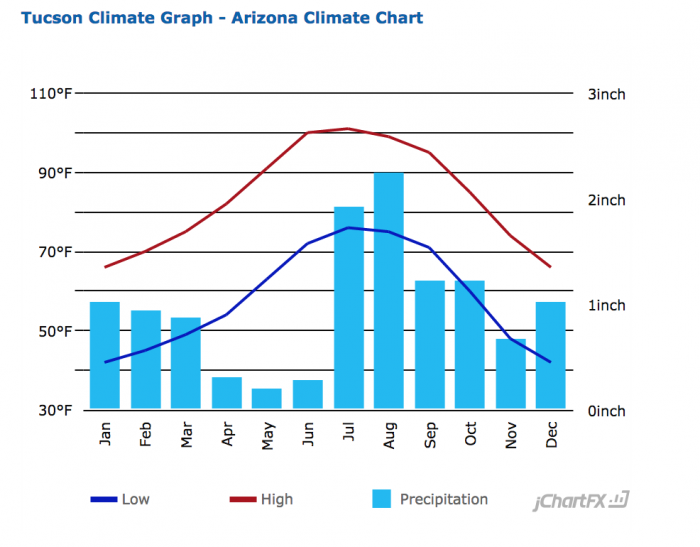 The North American Monsoon occurs anytime between mid-June and September, which is when Tucson gets most of its rain and higher humidity levels. Beware of flash floods! Tucson’s fall season is fairly dry, with cool nights and warm to hot days. 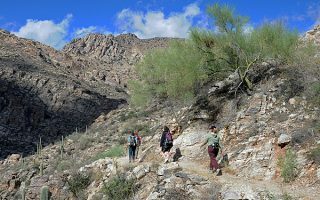 Winters in Tucson are mild, with daytime aerage highs in the 60s and 70s, and cool overnight temperatures, which occasionally fall below freezing. Always bring an extra layer between October and May. The highlight of spring is the bloom of gorgeous desert wildflowers. 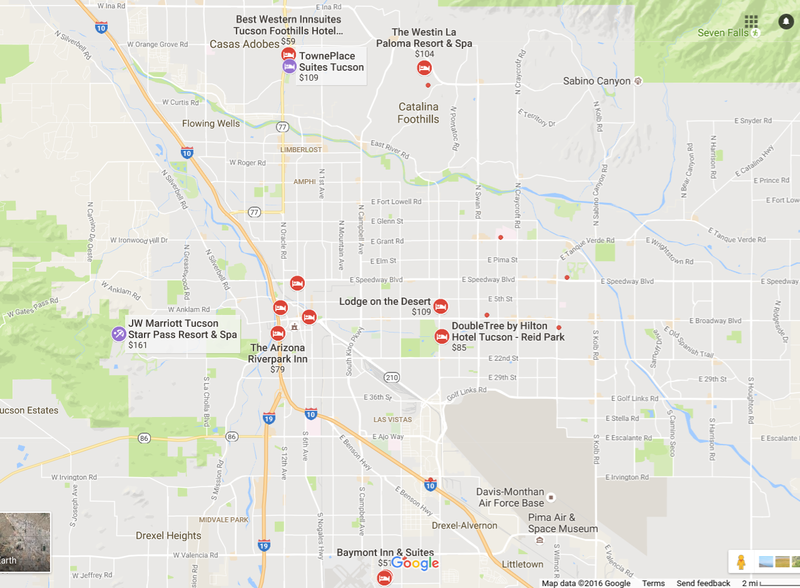 Tucson has a few different hotel clusters. There are several hotels downtown, within a two mile radius of downtown commercial areas, the University of Arizona, and the Convention Center, off Broadway and Speedway Blvd. There is another cluster near Red Park and the Randolph Golf Course, 2–3 miles to the southeast of downtown/university. Then, there are some more resort type hotels near recreational locations/running spots. 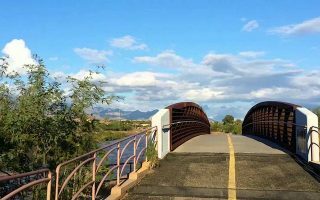 There’s a Holiday Inn near the Tuscon Mall, which is a good bet for the Rillito River Path. The JW Marriott Starr Pass Resort is at the base of Starr Pass and Tuscon Mountain Mark, and a couple of other hotels east of I-10 and near the National Park. There are also some hotels north of Tuscon, off of I-10, at the base of the Santa Catalina mountains and Saguaro National Park East. Fleet Feet Tucson — Insanity Cross Training workout every Tuesday at 6:00am. Free. TriSports — Various runners clinics throughout the year. Check Facebook events calendar for more information. Mathi — Open Monday through Saturday. Running Shop Group Run: Every Wednesday night at 6:00 pm there is an out-and-back paved social run from The Running Shop, down Mountain Avenue to the University of Arizona. Access to bathrooms and water. On Mondays, head to Hotel Congress and join Meet Me at Maynard’s for a free 3-6 mile walk or run; sign in and get discounts to local eateries. See www.meetmeatmaynards.com. Workout Group Speed Work: Reid Park is home to The Workout Group, the famed drop-in running group founded in 1997. Every Tuesday and Thursday, anyone can join in speed sessions of all kinds. Meet at 6:00 pm, dressed and ready to run. From Broadway, take Country Club 6/10 of a mile south, turn into Reid Park at Concert Way, then turn left and right in the parking lots. Park and look for the runners near the baseball field. Jingle Bell Run — 5k road run. December. Super Run 5k — Road run. January. Run For Your Life 5k — 5k road run. April. Sun Run — 5k and 10k options available. January. Dash For Dad 5k –June.